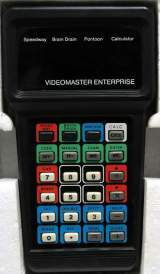 Videomaster Enterprise © 197? Videomaster. 3 Electronic games (Speedway, Brain Drain and Pontoon) & calculator.